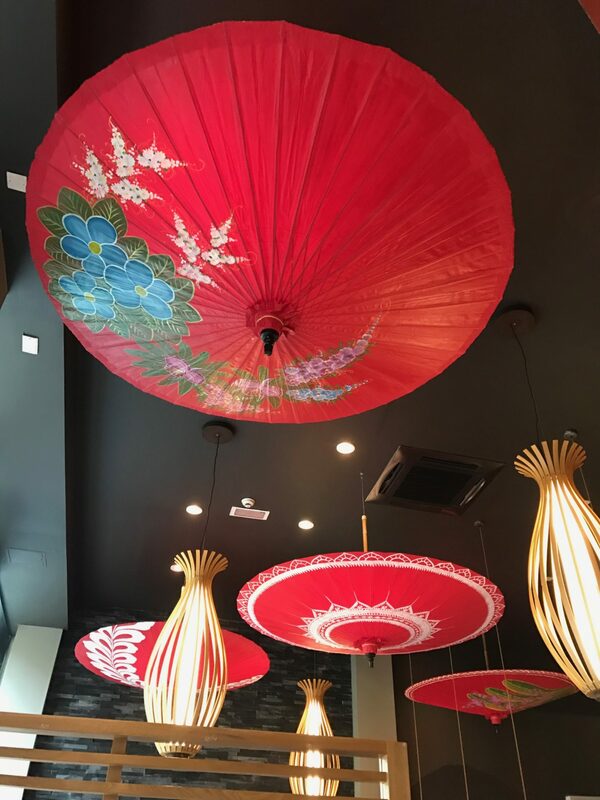 When we first entered the restaurant, I was really impressed with the decor, which is as expected Japanese themed, although definitely on a more luxury level. On first impressions, I was a little worried that it might not be that child-friendly, although I really shouldn’t have worried. As you enter there is an area near the window where they serve Japanese themed afternoon tea, which I’d love to come back and try one day. We were shown to our table, which was in the main restaurant area and just in front of the open kitchen, which the kids enjoyed watching. As we sat down the waiter informed about the half-price offer that they run throughout the day. Basically almost everything on the al la carte menu is half-price during lunchtime, which I think runs until about 4 or 5pm – bonus! To place your order, you write now the numbers of everything you want to order on a specially designed notepad and hand it to one of the waiters. The kids really loved doing this. We ordered a selection of dishes, which, in true Japanese style, we all bought out at different times. We started with edamame beans and gyoza, which the kids devoured! We were then bought a selection of sushi, which Simon had ordered. I’m not a fan of sushi, so Simon and the kids tucked in. Even though I don’t like sushi, there was still plenty of choice for me. I ordered the katsu curry with rice and some yaki soba noodles, for us all to share. The portion sizes were brilliant and there was plenty to go around. The food was also really tasty. Once we’d polished off our food, the kids were keen to have one of the desserts. They ordered a selection of Mochi, which is basically a cake ball made with rice. It sounds much nicer than it sounds and comes in a range of flavours – the salted caramel flavour was amazing! The desserts weren’t included on the half-price offer and were around £3 for two cake balls. Overall we were really impressed with the selection and quality of the food. The atmosphere was great and the staff were super friendly. The kids loved eating something a bit different and enjoyed the Japanese theme, and although I was initially worried that we were with the kids, there were lots of other people with kids too, so it was fine. We’ll definitely be back!